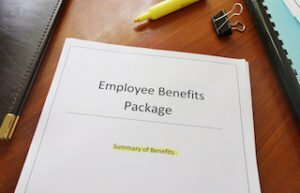 Health insurance remains the most frequently offered employee benefit by a comfortable margin, while dental insurance reclaimed the second-most offered benefit spot from retirement savings plans and life insurance leapfrogged vision insurance to claim the fourth spot in the recently released 2017 Health and Workplace Benefits Survey from the Employee Benefits Research Institute (EBRI) and Greenwald & Associates. Benefit offerings generally remain similar between years. Two-thirds of employers offer health insurance (67%), while dental insurance (59%) and retirement savings plans (57%) round out the top three. 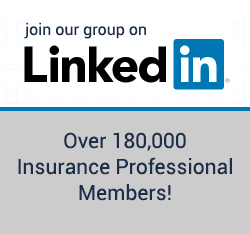 Half of employers reported offering life insurance as a benefit in 2017 (an increase from 46% in 2015), placing it fourth while vision insurance dropped to the fifth spot with 49% (compared to 47% in 2015). 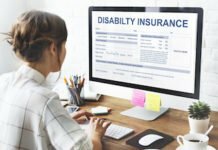 Disability insurance and traditional pension plans are the only ranked benefits that have declined in prevalence since 2013. Just over one-half (52%) of employees say they understand their health benefits and 43% indicate they understand their non-health benefits very/extremely well. Both statistics are down from 2016, when 61% indicated they understood their health benefits and 48% said they understood their non-health benefits very/extremely well. 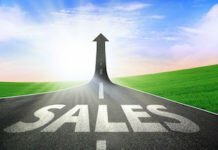 Nonetheless, most employees are satisfied with their benefits: Nearly one-half of employees indicate they are very or extremely satisfied with their benefits; another 36% say they are somewhat satisfied. In addition, employee satisfaction with benefits relates to overall job satisfaction. Employees who are extremely or very satisfied with their benefits are more likely to say they are extremely/very satisfied with their job. Further, benefits continue to be valued by employees. Health insurance, retirement plans, dental, vision and life insurance continue to be highly important when making job change decisions. In fact, more than 4 in 10 say they would forgo a wage increase to receive an increase in their work-life balance benefits, and nearly 2 in 10 state a preference for more health benefits and lower wages. In addition to traditional benefits, a small percentage of employees access voluntary benefits (13%). As in past years, employees say they purchase this coverage because it is less costly than what they can purchase on their own (51%), they like the ease of payroll deductions (46%) and they want to protect against financial loss (39%). Interestingly, employees with high-deductible health plans (HDHPs) are slightly more likely to have voluntary benefits (18% vs. 13% for non-HDHP participants). When asked why they choose to purchase voluntary benefits, HDHP participants are more likely to note cost and a desire to protect against income loss or unexpected expenses than non-HDHP participants. Knowledge: How well do employees understand their benefits? Employee knowledge of their benefits varies based on the type of benefit. Just over one-half (52%) of employees say they understand their health benefits very or extremely well. When asked about non-health benefits, that number drops slightly, with only 43% indicating they understand these benefits extremely or very well. Some of this limited understanding of benefits may come from the lack – or perceived lack – of benefit educational opportunities that employees are receiving from their employer. Nearly one-third (31%) of employees indicate that their employer or benefits company provides no education or advice on benefits. Only 39% state that their employer provides education on how health insurance works, 24% say that their employer provides education on how a health savings account works, and 28% confirm that their employer offers education on how to invest money in the retirement plan. This lack of education and understanding may explain the decline in confidence employees express in making a benefit decision. In 2017, nearly 60% of employees said they are extremely or very confident in their ability to make a benefit decision. That is down from 73% in 2015. In addition, many employees say they would seek guidance in making decisions if given the chance. When presented with a situation where an employer provides access to a benefits advisor at no cost, 55% say they are very or extremely likely to consult that advisor. Employees continue to indicate that benefits play a key role in whether to remain at a job or choose a new job. Since 2013, health insurance consistently remains one of the top benefits that employees consider in assessing a job change. In 2017, 83% said that health insurance is very or extremely important in deciding whether to stay in or change jobs. A retirement savings plan is also one of the critical benefits, with 73% indicating it is extremely or very important in determining whether to stay in or switch jobs. As seen in years past, benefits are a critical component to any job. While employees are generally satisfied with their current benefits packages, there is growing concern about what the state of employer-sponsored benefits will be in the future. When asked how confident they are that in three years their employer will offer benefits similar to today, only 19% of employees say they are extremely confident and another 30% say they are very confident. For employers, the challenge is how to provide the strong employee benefits package that employees want and need, while still controlling the costs of these benefits, particularly health care. The EBRI/Greenwald & Associates Health and Workplace Benefits Survey (WBS) studies a wide array of topics related to employee benefits including employees’ knowledge of their benefits, confidence in making benefit decisions and satisfaction with their benefits package. 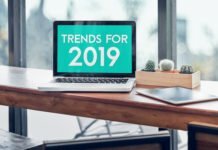 Because the survey has been conducted over several years, researchers from the EBRI and Greenwald & Associates are able to trend results to gain an understanding of employees’ changing perspective about their benefits over time. The 2017 survey was conducted online June 13-22, 2017, using the Research Now consumer panel. A total of 1,518 workers in the U.S. ages 21 to 64 participated in the survey. The data were weighted by gender, age, and education to reflect the actual proportions in the employed population.